Susan Gillis received her Bachelor of Fine Arts degree in dance from the University of Utah and a Master of Education degree from the University of Pittsburgh. While in New York City she danced with Virginia Laidlaw Dance Theater and the Shoestring Dance Ensemble. Former director and dancer with the Pittsburgh Dance Alloy, Susan has been producing her choreography independently and in collaboration with dancer/choreographer Judy Steel for the past 30 years. She has been the recipient of several choreography and video grants from the PA Council On the Arts, the Pittsburgh Dance Council, the Howard Heinz Foundation and the Pittsburgh Foundation. Her choreography has been seen on Public Television and her article "Developing Skills in Dance" was published in Focus on Dance XII, a 1992 National Dance Association publication. 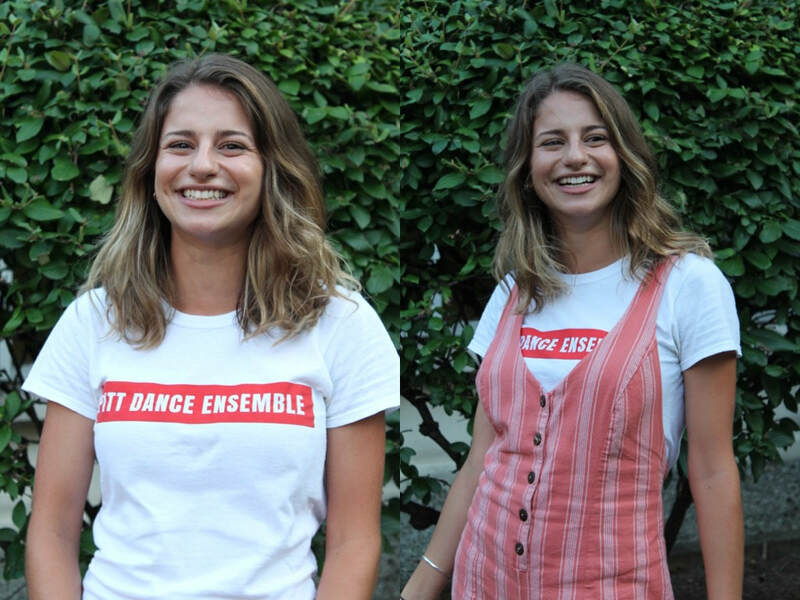 More recently she has developed the "Arts Education Project" which offers multisensory teaching seminars on the history of dance and has created "The Early Moderns" a multi-media CD-ROM on early modern dance history from 1880-1935. Susan's dance history tutorial can be found on the Web at: The Early Modern Tutorial. She is also the 2006 PA State Teacher of the Year for Dance/University level, the 2008 Eastern District Association Teacher of the Year for Dance/University level and her chapter on Introduction to Dance was recently published in "Diversity Across the Curriculum" (May 2007) by Jossey-Bass/Ankor Press. Emma is a junior majoring in Communication Science and Disorders through the School of Health and Rehabilitation Science, and working on a minor in Linguistics and Conceptual Foundations of Medicine, as well as a certificate in American Sign Language. She grew up in Plano, Texas and began dancing at age 6. From 5th grade until the end of high school she danced competitively with The Dance Movement's Impact Company. 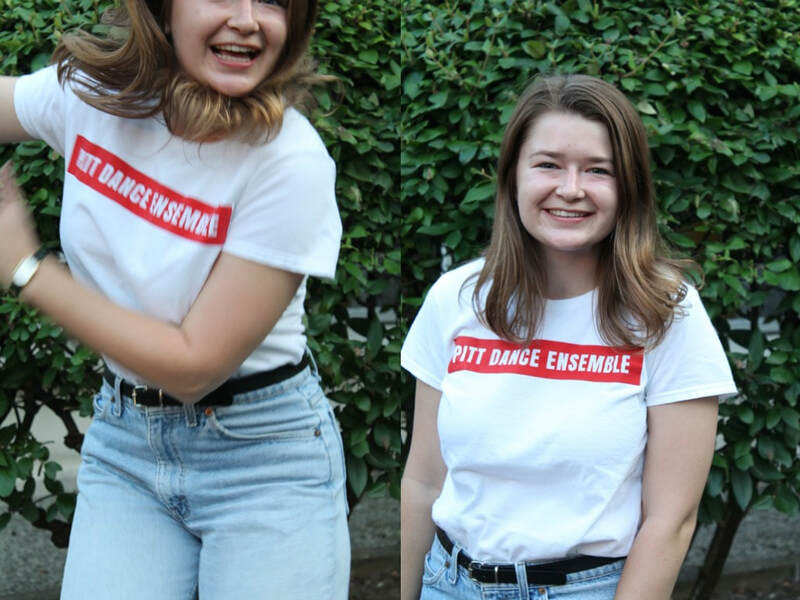 PDE is Emma's favorite club that she's joined at Pitt- she looks forward to grooving with her friends at meetings every Tuesday night! Sienna is a junior majoring in natural science and minoring in dance and Africana Studies. She grew up in Wexford, Pennsylvania where she began dancing at a local studio at the age of 3. In her 17 years of dancing, Sienna has trained in a variety of styles but enjoys jazz the most. 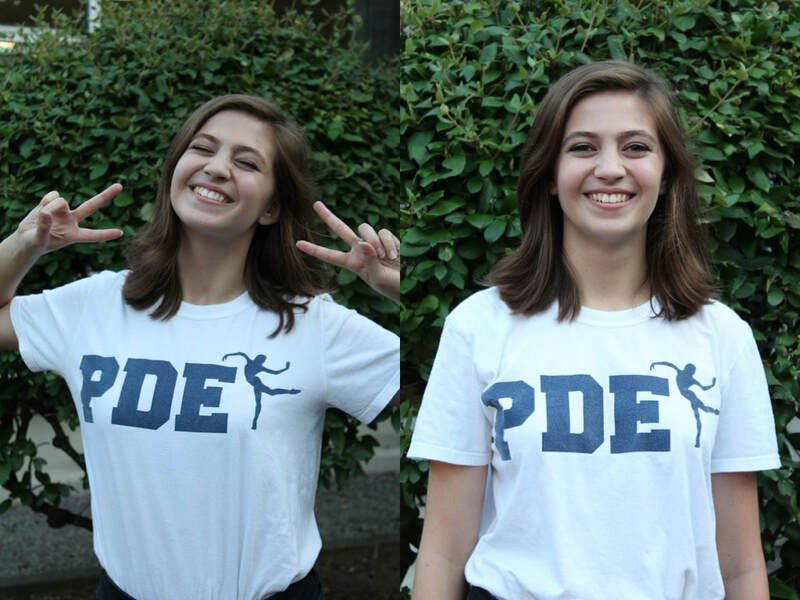 Sienna joined PDE her freshman year and is so glad to have done so. She is so grateful for the opportunities PDE offers so that she may continue growing her passion for dance. Megan is a senior majoring in Sociology and minoring in dance. She grew up in the outside suburbs of Chicago, IL, and joined a local ballet studio at age four which she remained until graduation of high school. Megan also had the opportunity in high school to work with some professional dance companies such as Giordano Jazz Dance, Nomi Contemporary Dance, and Joffrey Ballet. Megan was so glad to discover PDE her freshman year and is super thankful for all of the opportunities in dance as well as meeting (and dancing with) the best people on campus. Jessica is a Junior Psychology major with minors in Social Work and Linguistics, and a certificate in American Sign Language. She began dancing at age 5 at Nardi Dance Studios and Performing Arts Center in Easton, Pennsylvania. She is grateful to have been able to perform with and teach talented groups of dancers. 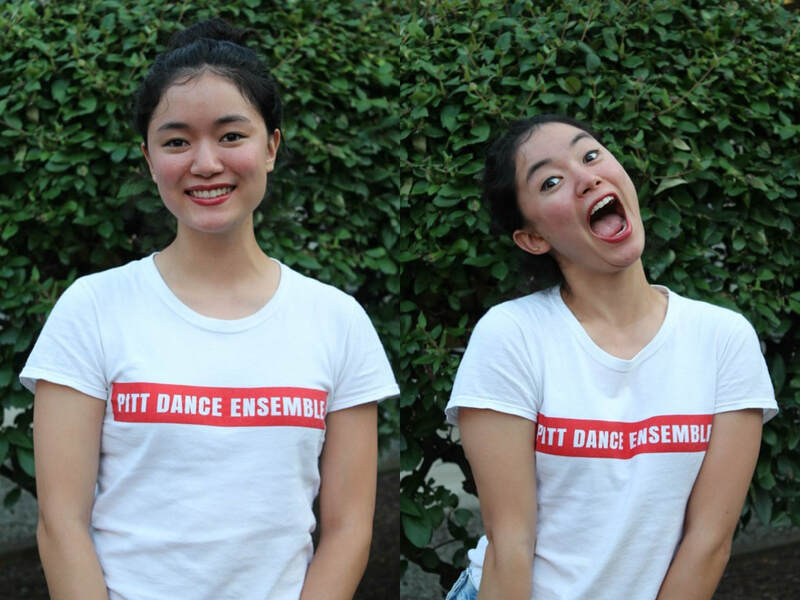 She couldn’t have been happier to be able to continue that experience with PDE. Jessica has been a member since her Freshman year, and is always striving to spread the same joy this organization has given her to others. Hail to PDE! Julia is a senior majoring in Psychology with minors in Sociology and Dance. She grew up in Cleveland, Ohio and began dancing at a local studio when she was five. PDE was the first club Julia joined at Pitt! She couldn’t be happier with the friends she’s meet and memories she’s made through PDE, all while continuing her love for dance. Cassie is a senior Psychology major and Dance minor. She grew up in Chester County, PA, and began dancing at the age of 3 at the Diane Matthews School of Dance Arts. From 8th grade to the end of high school, Cassie danced with non-profit entity West Chester Dance Works as a Junior Performer, captain of DM Dance Machine, co-teacher of Annointed Too Praise Ministry, and member of the Signature & Training Company. She also participated in her high school’s dance company, Piodanco, and breakdance club, Stoga Breakers. In addition to PDE, Cassie dances as a part of Pitt’s hip hop dance crew, Controlled Chaos. 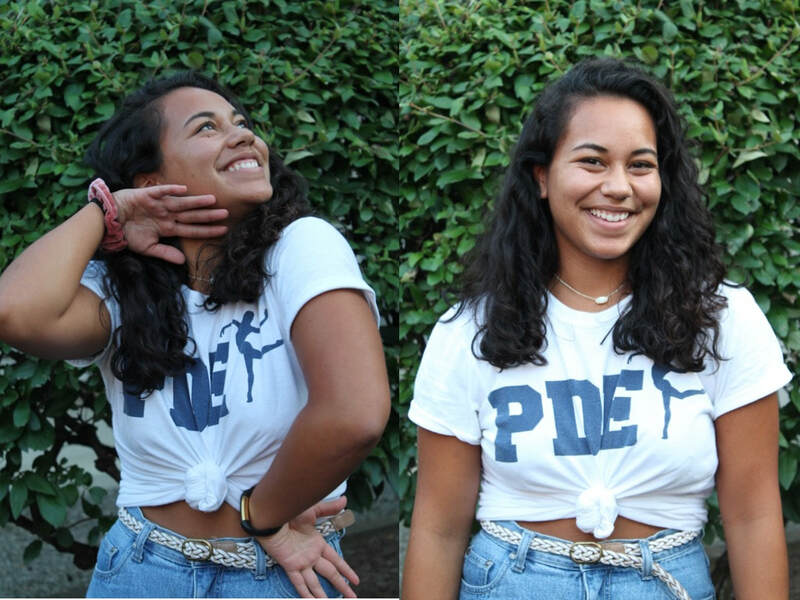 She loves and appreciates all of the opportunities that PDE has given her so far, and is looking forward to making more amazing memories in her final year.